With almost 500 pages of step-by-step guidance, these two individual books have 340+ five star reviews on Amazon and have helped thousands of authors write better books. These bestselling guides will teach you the secret to creating consistently good stories, show you how to spot and fix story problems before you start writing the first draft, and help you take your writing to the next level. Why do some stories work and others don’t? The answer is structure. 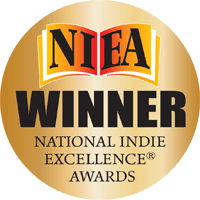 In this IPPY and NIEA Award-winning guide from the author of the acclaimed Outlining Your Novel, you will discover the universal underpinnings that guarantee powerful plot and character arcs. An understanding of proper story and scene structure will help you to not only perfectly time your story’s major events, but will also provide you with an unerring standard to use in evaluating your novel’s pacing and progression. Now it’s time to put those lessons to use! 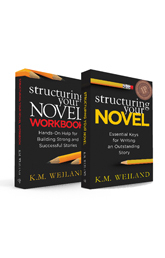 Building upon the principles in Structuring Your Novel, the Structuring Your Novel Workbook presents a guided approach to writing solid first drafts, identifying and fixing plot problems, and writing consistently good stories. This accessible and streamlined workbook will empower you to create a powerful structure—and an outstanding novel.